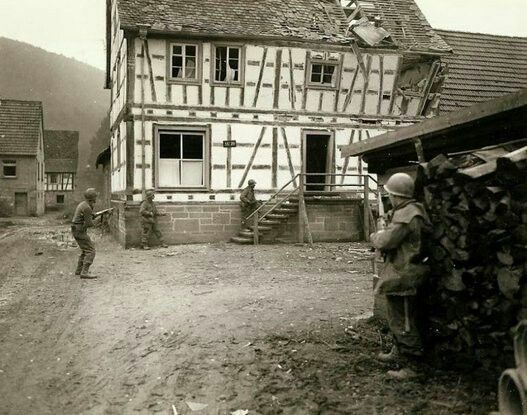 After crossing the Franco-German border, men from the 45th Division go on a house-to-house search in Bobenthal, Germany. 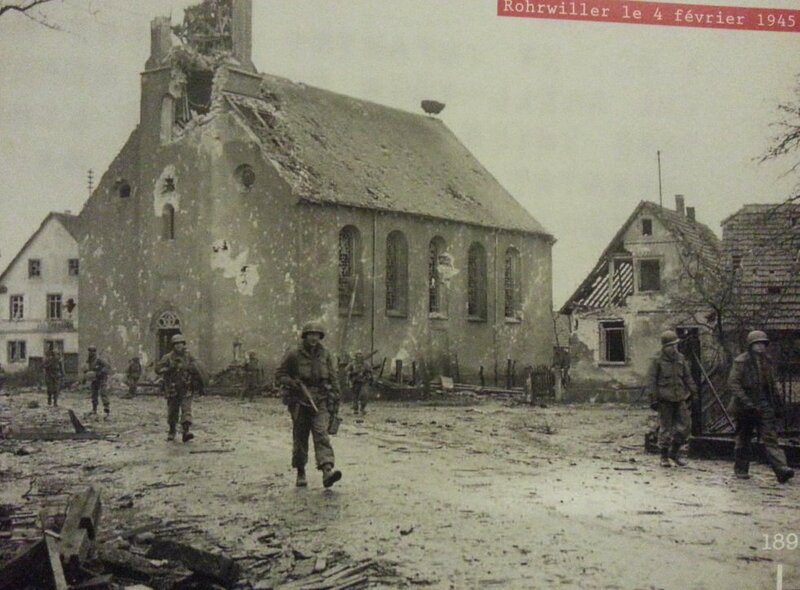 December 1944. Maginotline 1944. U.S. troops at the Simserhof bunker after capturing it from the Germans in 1944.